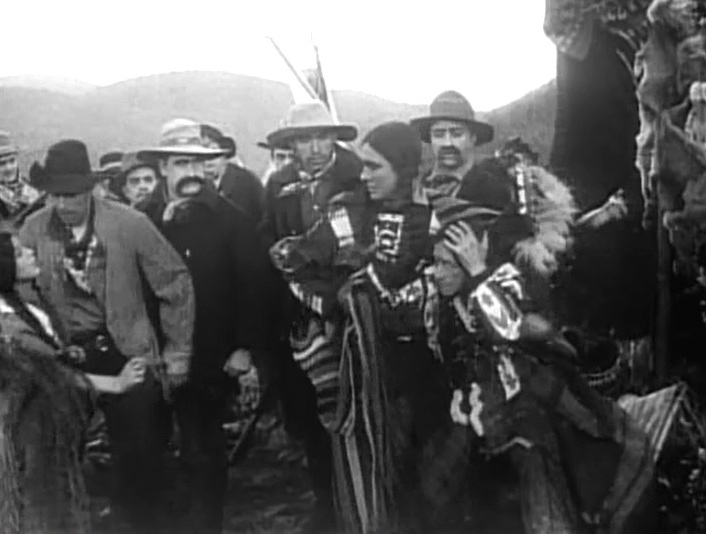 "The Red Man's View" is a short Western directed by D.W. Griffith. The film is included in our program to illustrate the work of two of our stars: actor Arthur Johnson and cinematographer Billy Bitzer. An Indian tribe is driven away from their land by the conquerors, one of which is Arthur Johnson. Arthur Johnson is one of the conquerors in "The Red Man's View" (1909), directed by D. W. Griffith, cinematographer Billy Bitzer. 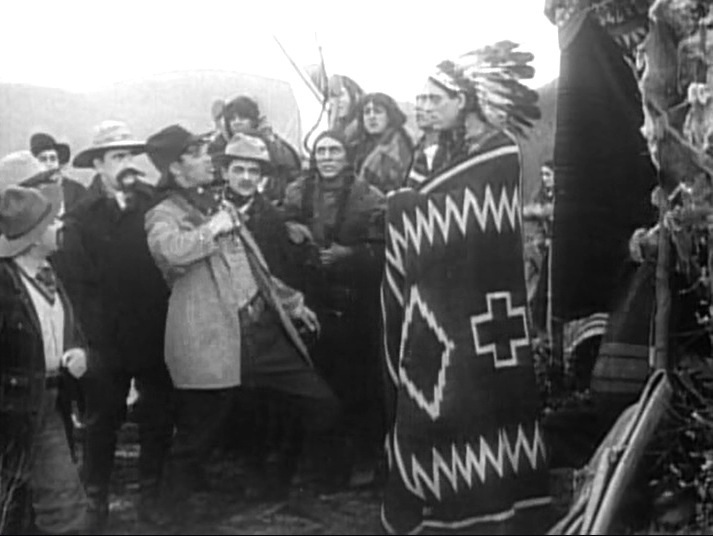 Arthur Johnson tells the natives who is the boss now in "The Red Man's View" (1909), directed by D. W. Griffith, cinematographer Billy Bitzer. 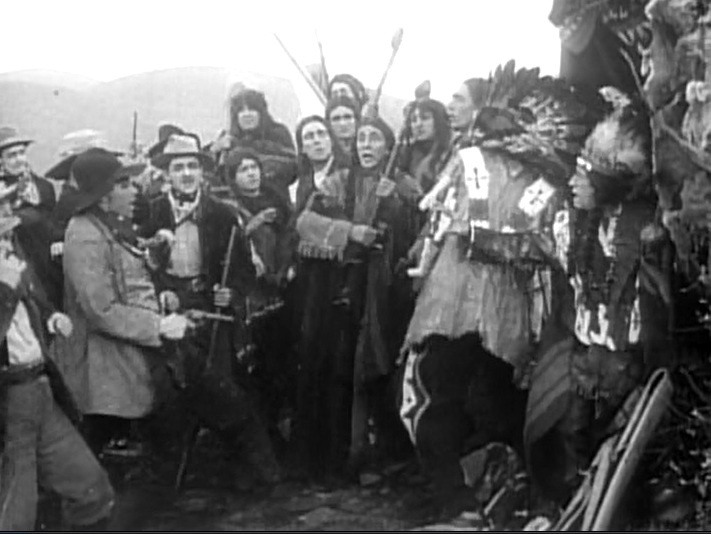 Arthur Johnson tells the natives to leave in "The Red Man's View" (1909), directed by D. W. Griffith, cinematographer Billy Bitzer. 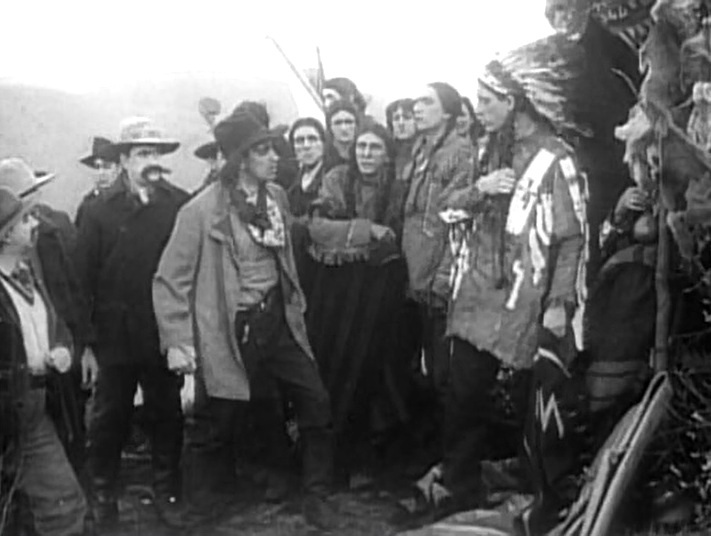 Arthur Johnson listens to the speaker of the natives in "The Red Man's View" (1909), directed by D. W. Griffith, cinematographer Billy Bitzer. 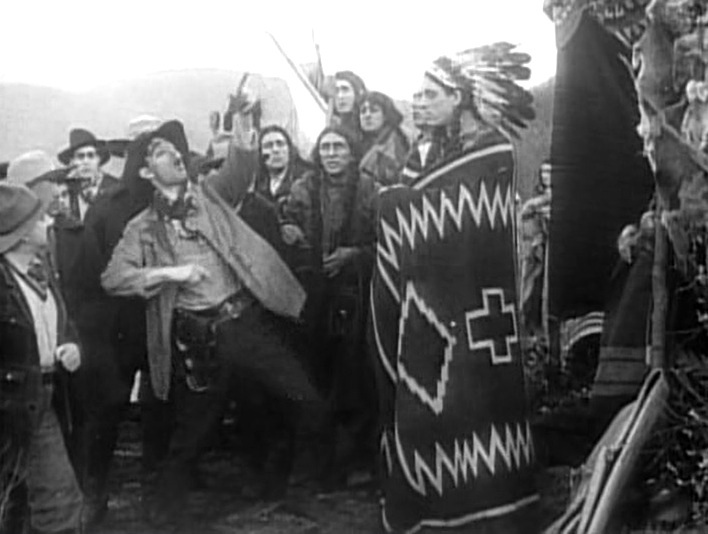 Arthur Johnson pulls a gun to support his arguments in "The Red Man's View" (1909), directed by D. W. Griffith, cinematographer Billy Bitzer. 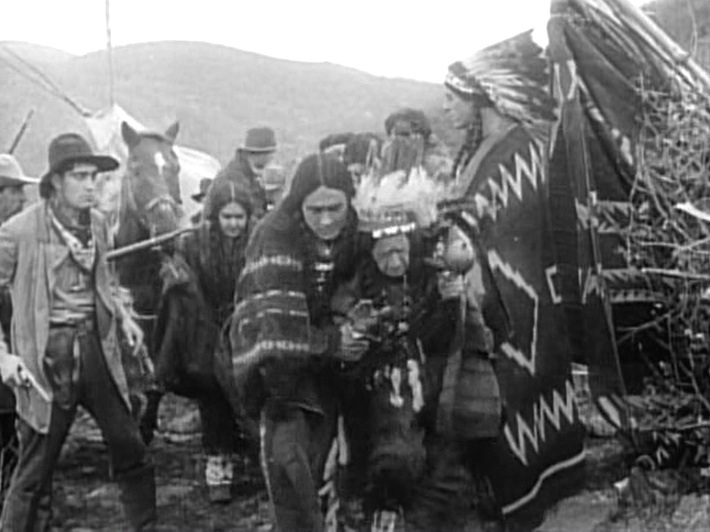 Arthur Johnson holds the native girl as her boyfriend leaves in "The Red Man's View" (1909), directed by D. W. Griffith, cinematographer Billy Bitzer. 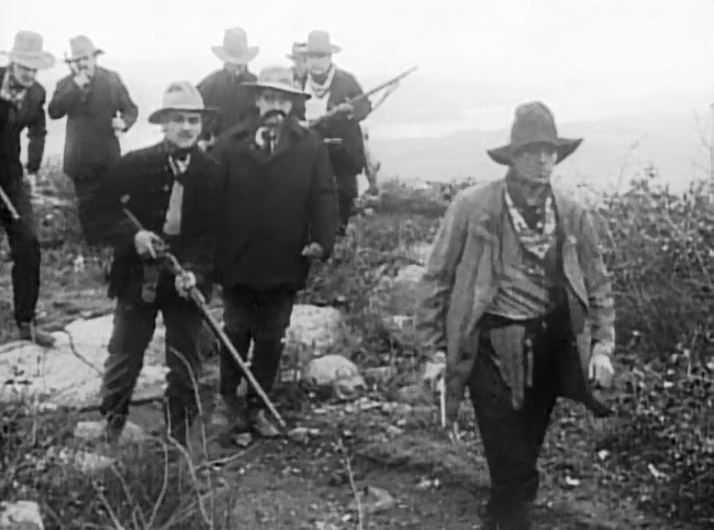 Arthur Johnson, gun in hand, observes the exodus of the natives in "The Red Man's View" (1909), directed by D. W. Griffith, cinematographer Billy Bitzer. 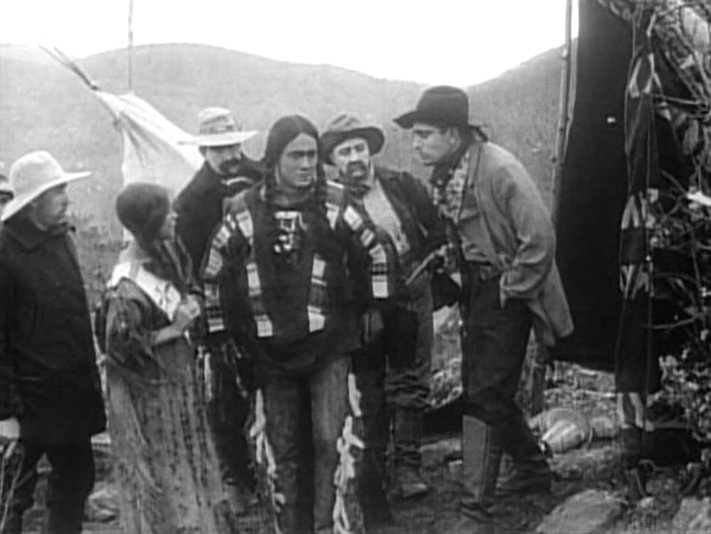 Arthur Johnson watches as the native wants to reunite with his girlfriend in "The Red Man's View" (1909), directed by D. W. Griffith, cinematographer Billy Bitzer. 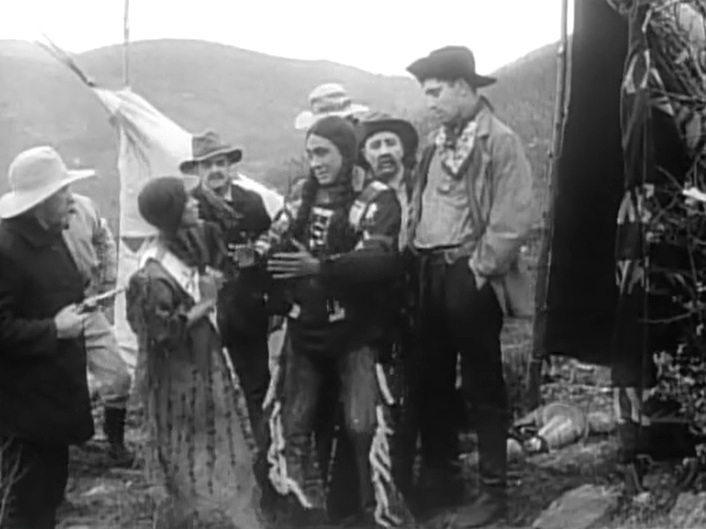 Arthur Johnson won't allow the native to reunite with his girlfriend in "The Red Man's View" (1909), directed by D. W. Griffith, cinematographer Billy Bitzer.